Explore Best Property in Ghaziabad with Photos, Maps & Details! Buy, Sell and Rent in Ghaziabad with RealEstateIndia.Com! 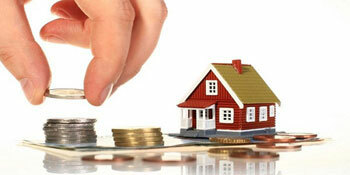 Ghaziabad Property Market Price Trends! Ghaziabad is the second-fastest growing city in the world according to a survey conducted by the City Mayors Foundation. It is a part of the Delhi NCR and has seen a commendable growth to suit the needs of every property seeker. Being the industrial hub of Uttar Pradesh, this city houses many manufacturing factories and units that offer great employment opportunities to all its dwellers. Ghaziabad, being a part of the National Capital Region has seen a tremendous growth in the past few decades. This city has emerged as one of the best residential center for those working in Delhi, Ghaziabad or its neighboring areas. The city boasts of a great infrastructure in terms of education institutions, healthcare facilities, flyovers, connectivity and urban dwelling. Apart from being connected to all the major cities by road and rail, it is just 45km away from the Indira Gandhi International Airport. The Delhi Metro, which now runs till Vaishali is proposed to be extended till the Old Bus Stand in coming years. The industrial growth has had its fair share in the overall population growth of Ghaziabad. The number of people immigrating to the city has increased drastically. While the population of this city was recorded to be at 3,290,586 in 2001, it raised to 4,681,645 in 2011; the annual population growth being 42.27%. The population density of the city has also increased greatly and reached 3,971 people per square kilometer. The average literacy rate of the city is 93.81%. There are around 850 females for every 1,000 males. Ghaziabad is the industrial hub of Uttar Pradesh and houses a number of entertainment options that would lure anyone dwelling in this city. There are countless entertainment options in the city, from mall and multiplexes to parks and heritage sites. With a great resemblance to the fast-paced culture of Delhi, Ghaziabad has become of the most attractive cities in terms of real estate. There are a number of education institutes where the youth can study hard and lead the city towards prosperity. Property in Ghaziabad is the best residing options for those searching for a decent home in Delhi NCR. There are a number of localities in this city that would be the perfect place to dwell in. Some of the key localities in Ghaziabad are listed here: Indirapuram, Raj Nagar Extension, Crossings Republik, Vaishali, Vasundhara, Kaushambi, Dabur Chowk, etc. Walking through Ghaziabad and coming across boards like “Real Estate for Sale in Ghaziabad” or “Ghaziabad Properties for Sale” is a common sight. There are numerous builders in the city who have contributed in this city’s infrastructure. They churn out commendable residential and commercial properties to add to the charm of Ghaziabad real estate. 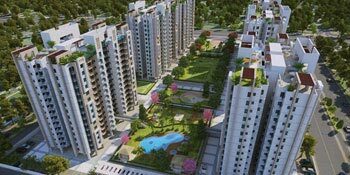 Some of the top builders of Ghaziabad have been listed here: Gaursons, Supertech, Parsvnath, Mahagun, ATS, Ashiana Housing, Amrapali, Omaxe and others. There are countless projects that are constructed by the key builders of this city to accommodate the increasing population growth. 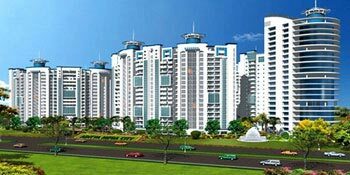 One can find all types of property for sale in Ghaziabad that would suit every dweller’s needs. From 1BHK flat to 3-4 BHK apartments, from luxurious villas to comfortable duplexes, the projects in Ghaziabad can satisfy anyone’s property needs. The growth of the real estate in Ghaziabad would not have been possible had the government not come up with innumerable projects to suit the requirement and budget of even the working class people. The recent Madhuban Bapudham Scheme 2016 launched by the Ghaziabad Development Authority would provide home to all the property seekers without extracting a fortune from them. 1 BHK / 770 Sq.ft. 1 BHK / 579 Sq.ft. 2 BHK / 899 Sq.ft. 3 BHK / 1485 Sq.ft. 2 BHK / 685 Sq.ft. 2 BHK / 1320 Sq.ft. Do I Want a Conventional Mortgage When I'm Buying a House?